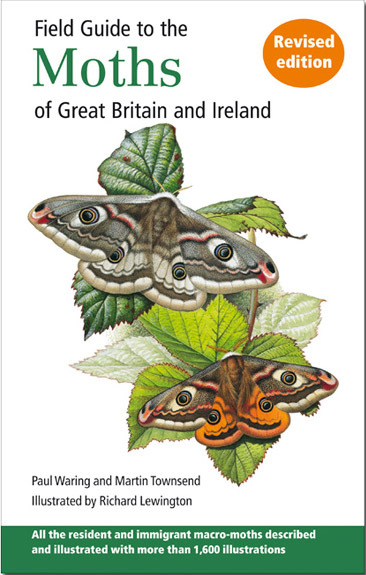 This is the most comprehensive guide to the larger moths of Great Britain and Ireland, with superb artworks by Richard Lewington showing the moths in natural resting postures, for easy identification. There are also paintings of different forms, underwings and details that will help in identification. The thoroughly updated text includes up to date research on species distribution, and the field characters have been rewritten to include the latest information on identification techniques. As well as field characters and similar species, there is detailed information on flight season, life cycle, larval foodplants, habitat, status and distribution for all species. With over 20,000 copies sold, this is arguably the most popular guide to this subject, used by keen amateurs and experts alike. Buy online from British Wildlife Publishing. One of the most eagerly anticiptated insect guides for years... This is the most comprehensive field guide to micro-moths ever published in a single volume, and, for the first time, makes this fascinating and important group of insects accessible to the general naturalist. The guide covers 1,033 species, with more than 1,500 superbly detailed artworks and photographs. It also includes 900 specially commissioned maps. Provides coverage of all the micro-moth families found in Great Britain and Ireland, including the Channel Islands.